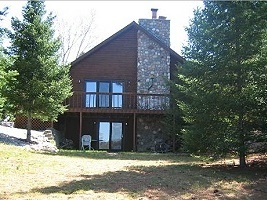 "Many Great Vacation Property Rentals To Choose From!" We rent for less than one week. Mid week rental discounts. Call us. 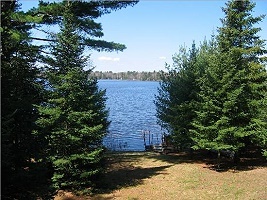 Available for Spring, Summer, Fall, Winter Rentals - Easy Snowmobile Trail & ATV Route Access - Biking from the Lodge - Great Musky Fishing on a Class A Lake! 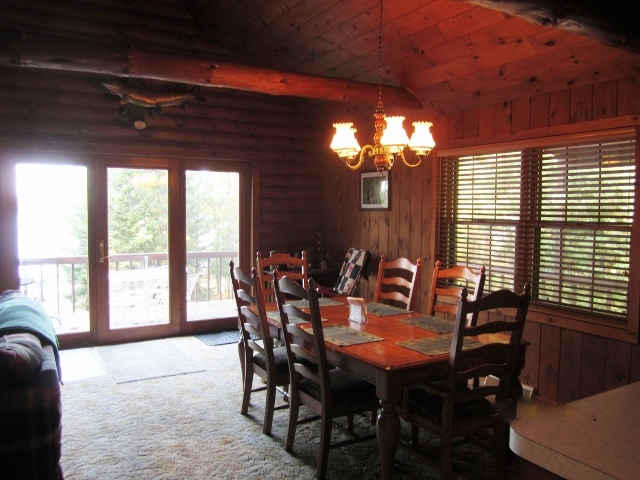 What a peaceful location for this terrific Lodge! 3 levels of living with everything you will ever need for your next vacation! In a very quiet northwoods location. 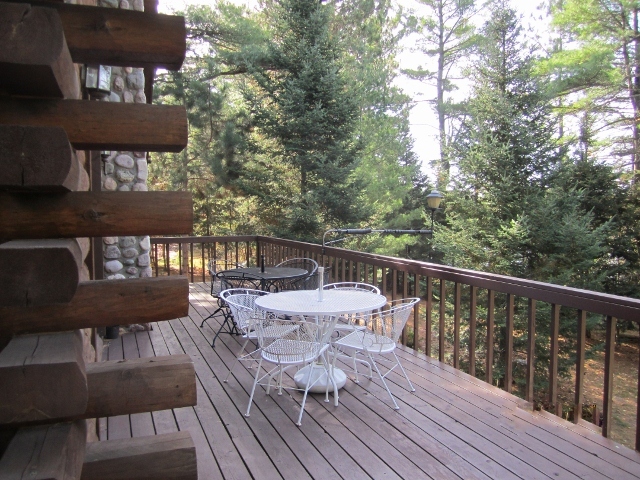 Outside on the Walk Out Deck is a Gas BBQ Grill, 2 dining/patio tables & chairs PLUS a wonderful lakeview. 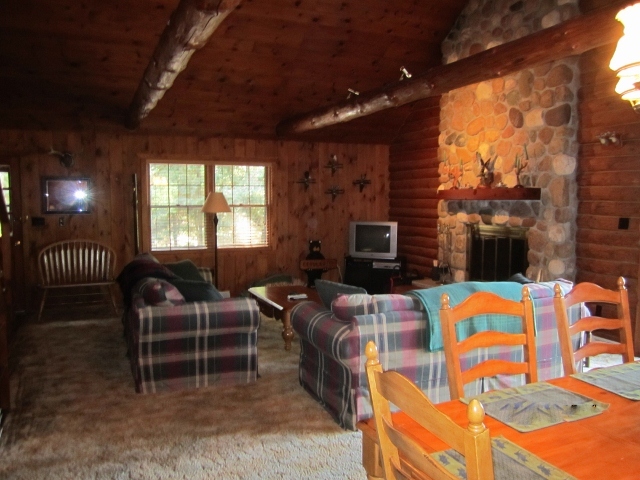 The lower level sports a walk out to the lake; wood burner for nightly fires, charcoal grill & more seating. At the lake is a new pier that will handle all size boats to include pontoon. 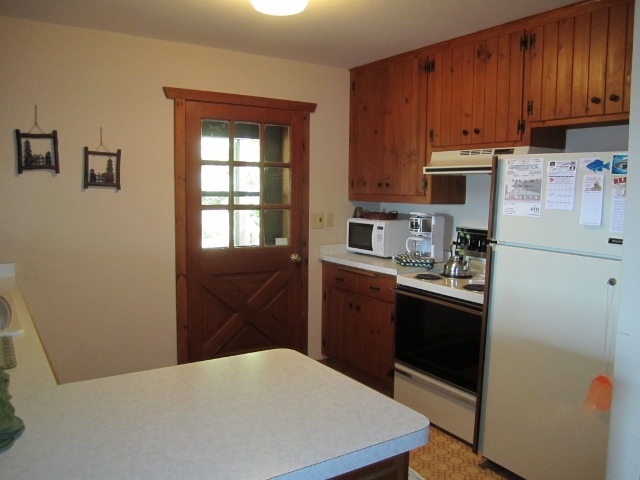 This spot offers direct access to the Sugar Camp snowmobile trails. Great spot for a winter "sledding" vacation! Plus ATV Routes. Main living level has full kitchen with dishwasher, dining room with walkout to wrap around deck with patio furniture, living room with fireplace & DirectTV & Blue Ray Disc Player, 2 bedrooms & full bath. 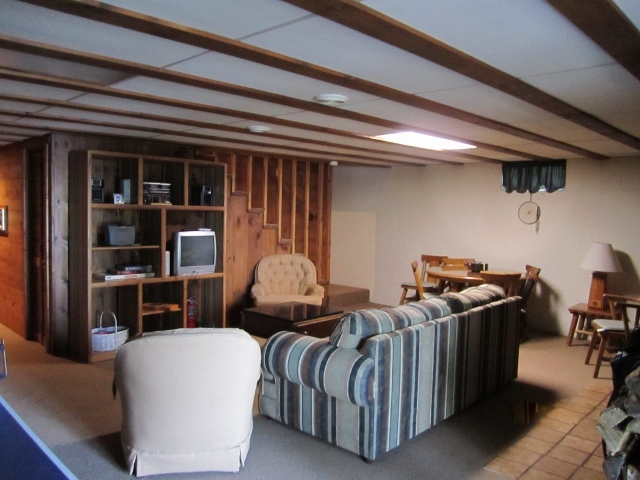 The lower walkout "Rec" room has large family room with table tennis, dart board, game table, bar, TV & game equipment & Sleeper Sofa; 1 bedroom; full bath; laundry room with washer & dryer & door to the outside patio area. 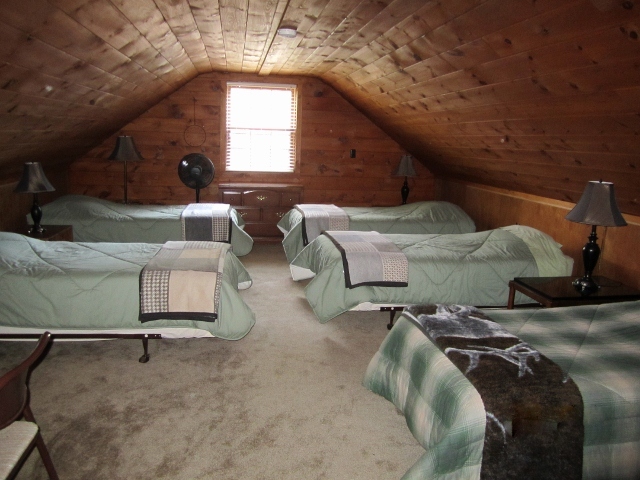 The loft level of the Lodge has 5 twins beds, overlooks the living rooms & has a fantastic view of Chain Lake. Part of the 5 lake Sugar Camp Chain of lakes. Class A Musky Lakes filled with musky, northern, perch, crappie, sun fish, blue gills & bass! Consider Rena's Place on Sand Lake for a terrific meal & beverage. You haven't had a Bloody Mary until you have one at Joe's Bar! $1900/week PRIME SEASON - 6 guests. $50/week per additional guest - maximum of 10 guests. 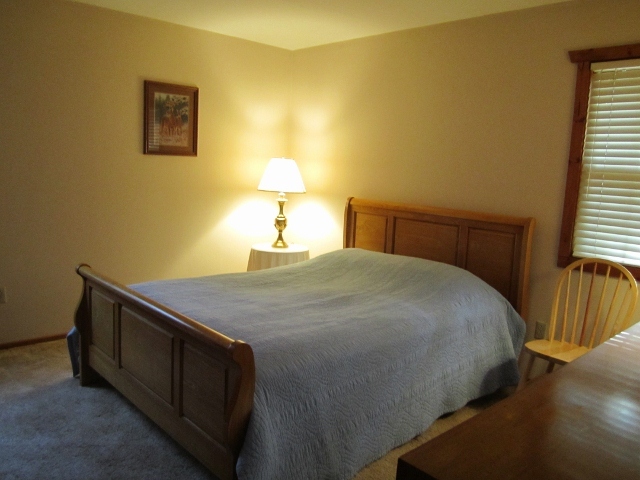 $1000 -1/2 week rental PRIME SEASON- 8 guests. $25 per additional guest - maximum of 10 guests. $1120 QUIET SEASON - 6 guests. $50/week per additional guest - maximum of 10 guests.